Whether you are young or aged, exercise must necessarily be a part of your life. For those of you who cannot leave home to work out at a gym or park, a recumbent bike is a good option. And if you're particular about the kind of bike you'd like to ride on, look out for the best recumbent exercise bike available today and start exercising today. If you have low-back problems or are physically limited in using a traditional upright bike, you should go in for a recumbent bike. This is a type of cardio equipment, built as a typical bicycle that you've probably seen at your neighborhood gym. The way a recumbent bike differs from an upright bike is that in the former, you are in a reclining position, though fully. You pedal in front of you, but in an upright bike, you are in an erect position and lack any back support. One of the prime reasons for the success of a recumbent exercise bike is that they are easy to get on and off. They are specially designed so that the seat is much lower that you don’t have to climb up onto the seat as in upright bikes. This feature makes it perfect for people suffering from mobility problems, particularly seniors. The fact that these bikes also come with excellent back support makes them ideal for those who suffer from back pain when on an upright bike. If you’re obese and looking for a way to lose all that weight, hit the gym five days a week and get on to a recumbent bike for 60 minutes a day. This can help create a shortfall of calories within you. If you don’t have much time for exercising, don’t abandon using the best recumbent bike but slightly alter its use. You can do this by using your bike to do interval training. This could be doing a one-minute sprint and then one minute of moderate cycling over 20 minutes. This works to raise your metabolism and burn more calories, thus bringing about an effective weight loss. A best recumbent exercise bike can give you a full lower body workout while also toning your muscles. However, due to the way the pedals are positioned, you will work your muscles slightly differently. Usually, a recumbent bike may be of lighter weight, but it can take the weight of an individual of about 136 kg (300 lb). This is one big reason for the popularity of these bikes as larger-sized individuals can be supported by them—they are that strong and durable!! For a lot of people, staying motivated in the long run is extremely difficult. Very often, you will find that people drop out of gyms after the third month citing problems of being unable to focus or just plain boredom. But you don’t have that problem if you’re using a recumbent bike. The monotony of riding an upright bicycle isn't something you find when working out on a recumbent exercise bike, so it becomes a lot of fun, after a while. Here, while you're on a recumbent bike, you can sit in comfort and keep pedaling without feeling any body aches or soreness. Turn on the TV if you like and watch your favorite shows while you pedal and you won't notice time passing. The best recumbent bike, contrary to public opinion, isn’t only for those with back problems or are less mobile, or for those just coming out of injury. In fact, they are for every one of all ages and varying fitness levels. This is because these bikes come with varying resistance levels which can be adjusted according to one’s fitness level. What adds to the popularity of these bikes is that you can work on them in the comfort of your home. We present reviews of the seven Top Rated Recumbent Bikes reviewed for you. Read these best recumbent exercise bike reviews and then make an informed choice. This sturdy and robust recumbent bike is the best example of a budget exercise bike. Its set-up is easy and low-cost, and though it doesn't have many bells and whistles, its heart rate monitoring facility in the handgrips is excellent. However, its user-friendly and durable design don’t just make it stand out, but according to popular choice, it is known as the best recumbent exercise bike. It’s worth considering because it has all the features people look for when buying a recumbent exercise bike. This recumbent bike has an eight-level Magnetic Tension Control System where you can try out the ride you want before adjusting the settings. Its large padded seat and equally large pedals accommodate a range of users. The LCD display shows up data in a large size, so you needn't wear glasses when you're on the bike. At a weight of 28.6 kg makes it highly portable. For those with limited floor space, this gadget occupies a very small space—22”x34”x54”. It can easily handle the body weight of a maximum of 136 kg, so it's ideal for obese people trying to lose weight by cycling. Users get a 3-year limited manufacturer’s warranty on this bike. Easy to get on and off this bike due to its low center of gravity. Backward and forward pedaling doesn't stress the joints. It also offers a smooth pedaling experience. It works silently and is robust. If you want to exercise easily and smoothly, the Exerpeutic 900xl is just the recumbent bike for you. Simple, basic and practical, it is a robust tool that can help you become fit and lose weight and improve your quality of life. This best recumbent bike is one of Schwinn’s most densely-packed recumbent exercise bikes. A mid-range model from a reputed manufacturer, it includes many of the features of its predecessor, the Schwinn 270, and is affordable too. It comes with 22 workout programs, apart from heart rate control, speakers, and other features. Its adjustable nature and two user profiles render it the best choice for home gyms. No wonder, it is famous as the Most Popular Recumbent Bicycle. This bike is easy to access. Its maximum user weight is 136 kg, though it weighs just 37kg. For added stability, there's also center support. The flywheel that weighs just 6 kg provides sufficient weight for cardio workouts and muscle toning. It is pre-set with 20 resistance levels and 22 workout programs. The seat is comfortable and the backrest vented for enhanced airflow during workouts. The console has dual LCD screens. You can track your fitness levels on this bike. Store data on your USB drive which can be hooked up to the Schwinn Connect website. The silent eddy current brake resistance is divided into 20 levels. It has a grip heart rate monitor and an MP3 player which can stream music through the console. The seat is not padded, therefore is uncomfortable. The flywheel is very light and hence isn't strong enough for good user experience. Settings for two users can be saved here. The backrest offers lumbar support is adjustable and contains air vents for enhanced comfort. The Schwinn 230 recumbent bike is made with many strong features that make it a solid bike. Many of its parts are plastic-made is an asset as it does not increase the weight of the bike. It can easily be a final choice for people of different fitness levels who want to buy home gym equipment on a budget. 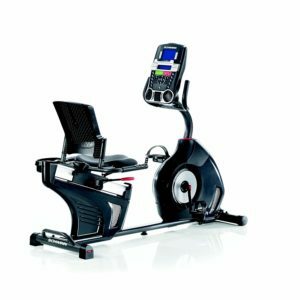 Known as the most affordable recumbent bike in the market, the Marcy Me 709 is replete with handy and useful features, which include its monitor to review workout statistics, before and after adjustability and its variable handles, among others. It is also the right choice for seniors or those with neck injuries or are frail or disabled. This recumbent Bike for Overweight People can take a lot of user weight, unlike most others. For those on a budget too, this is an ideal choice of a mix of high performance and affordability. This sleek bike in grey, copper, and black is aesthetically pleasing, so it matches with most types of décor. It comes with eight levels of pre-set resistance levels. It has a large and easy to access control knob to adjust the tension on the fly. You can measure your progress by checking the console placed above the bike. It weighs only 28 kg, but it moves around easily as it has integrated transport wheels. Its dimensions of 55.5” x 25” x 37.5” render it small enough to occupy tiny space in a small home, making it comfortable for the user. You can keep your feet safely on the pedals while you workout, thanks to the adjustable foot straps which keep pedal slippage at bay. If you have long legs, this bike is not suited to you. Even at the highest setting, the resistance is far too low. It is one of the most affordable units in the market today. It is a good bike to start exercising with. It is robust and works silently. Bearing its price in mind, the Marcy Me 709's feature of magnetic resistance is particularly useful for those who want quiet environment while they work hard to improve their cardio health, strengthen their knees and lose weight. Not for nothing is the Nautilus R614 known as the Best Recumbent Bike for Seniors. At an affordable price of $299, it is perfect whether you're a pro at exercise or beginner. It comes with a backrest and adjustable height facility. Dual track LCD console with a multi-purpose display. This helps track one's fitness goals and let the user monitor his performance and set further workout goals. It is excellent at providing users with the best cardio exercise experience with minimal impact on the joints. Its quick start program contains nine profile programs, eight heart rate programs, and two fitness tests, with the possibility of saving user profiles for two people. Adjusting the seat from large to small is difficult. The pedals are not a perfect fit for people with large feet. Obese people can adjust to the seat easily. It allows for heart rate monitoring. For all its features, the Nautilus R614 is highly effective in giving you a high-performance workout. It also keeps you connected with media and to your mobile devices. These are unusual features for premium quality recumbent bikes. The Nautilus R614, therefore, is a highly recommended bike for anyone wanting to exercise regularly. This iconic recumbent bike is so feature-rich and so advanced in technology that it comes as no surprise that it is highly popular and named the Best Recumbent Bike 2019. It’s suitable for anyone wanting to exercise, whether just starting out or a pro. It is loaded with good and useful features. 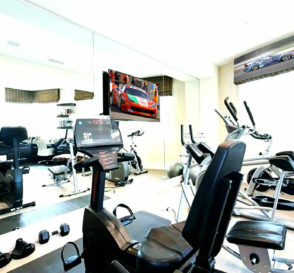 Take a look: it has 29 pre-set programs, connectivity through smart devices and the ability to download data concerning one's workout. But these aren't all. To know more about it, read on. It has two window panels full of helpful information for users. With this information, users can keep track of 13 displays on their feedback monitors. 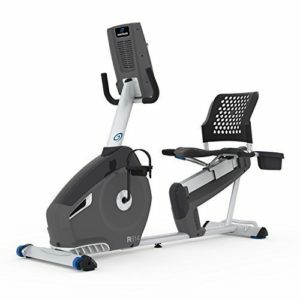 The Schwinn Connect program is the life beat of this recumbent bike. It is responsible for collecting data related to the user’s progress and reports it back to them in real time so that they can achieve their fitness goals on time. This bike is pre-set with 29 programs, apart from which there are four user settings and 25 resistance levels to challenge users of all levels and keep them motivated. It has a ventilated seat back with adequate lumbar support and a well-padded and contoured seat. Handlebars are ergonomically-positioned to provide the most comfort. Large foot pedals with straps provide the necessary stability for your workout. Easy access via a walk-through frame. 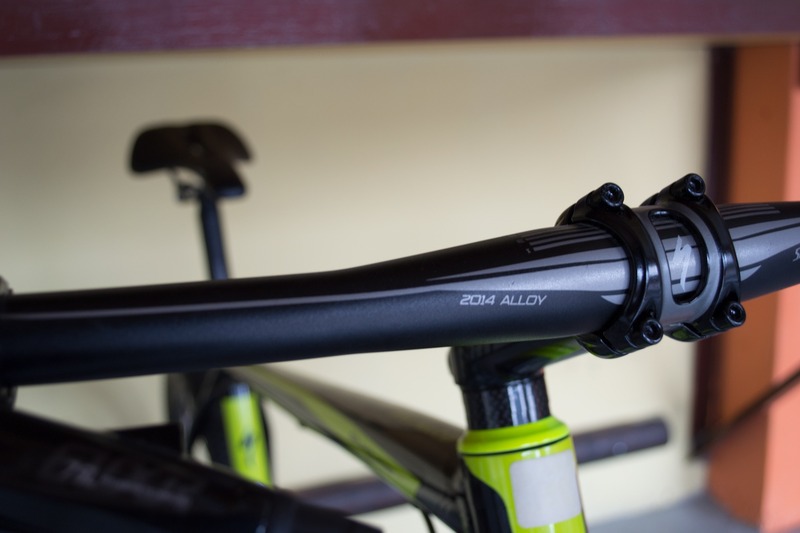 Smooth aluminum seat rail adjusts forward and backward according to your height. Too small for users over 6 feet in height. Calorie burn estimate is inaccurate. For $549, being able to buy an exercise bike of the quality of the Schwinn 270 is more than just a steal. 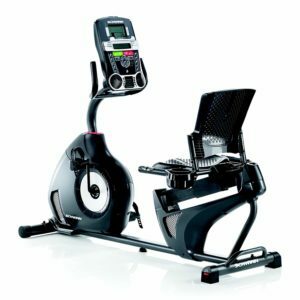 Best recumbent exercise bikes that cost a couple of thousand dollars don’t have as many pre-set workout programs that this one has. So, for all that you’re getting from the Schwinn 270, consider it your good fortune to find one as good as this and go ahead and buy it. Hand pulse sensors on the handle bars for targeting your heart rate zone. 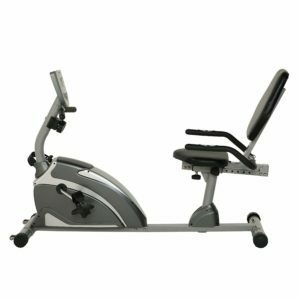 Recumbent bike manufacturers have addressed two main issues concerning this product when making the Exerpeutic 400XL Folding Recumbent Bike. One, its enhanced ergonomics and two, its space-saving efficiency. This sophisticated bike is also robust and well-made and is exceedingly comfortable. It also answers people's reasons for not exercising—lack of time and lack of space for equipment. Its many A-1 features, including its semi-recumbent design, makes it easy to get on and off for people of all ages and fitness levels. Certainly, it’s a must-possess exercise item. Being foldable, it is immediately space-saving, thus making it ideal for small homes. Tall users find it too cramped and small. Instructions in the manual are complicated. Switch between eight levels of smooth, adjustable magnetic resistance. If you’re looking for a recumbent bike that will let you exercise your limbs when you feel like it, the Stamina Elite is a wise choice. 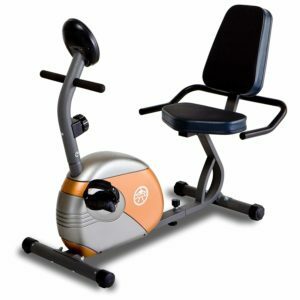 It is ideal for low impact Recumbent Bike Exercise and for intensive workouts. It is equipped with hand and feet pedals. For all its convenience features, it is touted to be the Best Recumbent Bike for Home. It is a big boon for people living in small homes where space is at a premium. All they need do is to use it, fold it and store it away. It is great for a full body workout as its handlebars work on your shoulder, arms and back muscles and cycling which works your thighs, hips and buttocks. It is comfortable, efficient and customizable. 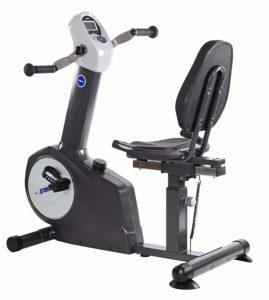 Its recumbent bike seats and backrest are padded, ergonomically designed and help you relax while you work out. It has a semi-reclined angle of the bike keeps the spine in good condition. Its design is user-friendly and the seat distance adjustable. Distance, speed, calories, heart rate are all trackable. 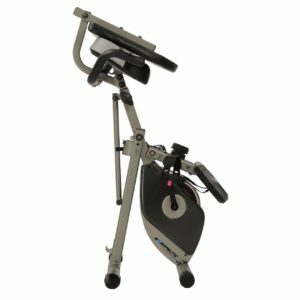 Its dual pedals help work the entire body. The data console runs on battery. Therefore it does not need an electric supply. In the light of its features, pros and cons, the Exerpeutic 400XL Folding Recumbent Bike is a good one to go with. Though more expensive but yet it is worth the money. With a folding frame, eight levels of magnetic tension, a comfortable and large seat and a high user weight capacity, this exercise bike is a good entry level bike that you can’t ignore. The best way of finding a recumbent bike that’s right for you is to try out the machine before buying. These bikes come in a range of shapes and sizes, so it is necessary to adjust the height while you’re in the store. Ensure that the seat is comfortable and the pedals are a good fit for your feet. Don’t get carried away by the aesthetics of a recumbent bike, or because it’s feature-packed. Space is more important than anything else, in fact, it’s a practical need. So, if your space is limited, go in for a folding bike. Not only can you fold it but also stow it away when not in use. An easily adjustable machine with several workout levels is ideal for you. If it has an electronic resistance control, so much the better. Use electronic control to test the bike in the store. It’s common sense to follow the directions of using exercise bikes as they have several moving parts. Lock the exercise bike when not in use and keep it away from children’s reach, whether in use or not. An easily readable display screen with equally east controls will show your heart rate, speed, calories burned, revolutions per minute (RPM), and resistance levels, among other details. Do the bikes you’re looking at have programs that let you adjust your routine based on your fitness condition? It should also provide you with workouts controlled by your heart rate, with special emphasis on your age, gender and weight. Look out for a chest strap—it won’t get in your way. A contact monitor that measures your heart rate as you work out is a good feature. Check that the bike offers two to three years of warranty on moving parts and a year for labor. The range of recumbent bikes in the market today is mind-blowing. The one you finally choose depends on your needs and fitness level, and of course, your budget. But to be caught on the right foot when choosing the one you should have, read our buying guide and choose accordingly. So that you do, in fact, go home with the best recumbent exercise bike available.